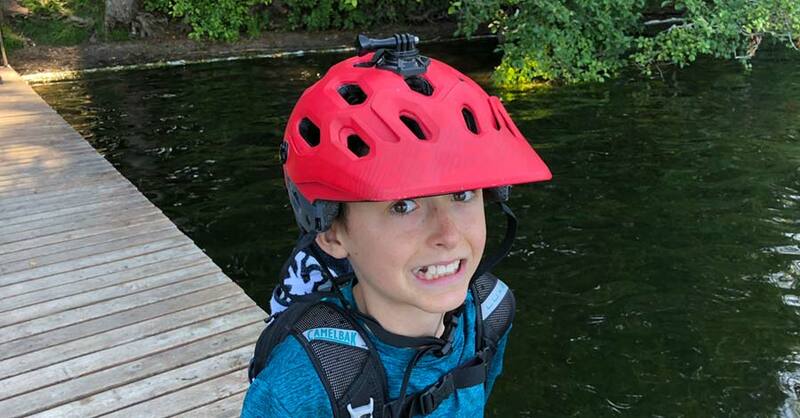 When our 11 year old’s last helmet met its untimely demise in a Moab parking lot last fall, we had to get a new one in a jiffy. Standard helmets cushion the skull (and the brain beneath it) from bumps and bruises. 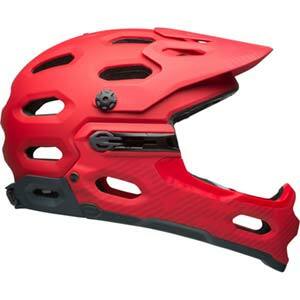 But if you’re serious about mountain biking, you need a helmet with proven features and durability – like the Bell Super 3-R MIPS helmet. 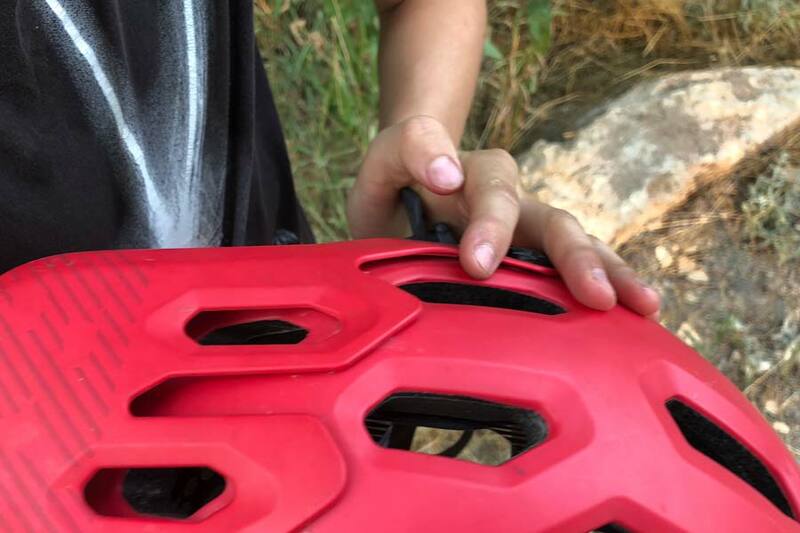 What Does “MIPS” Mean On The Bell Super 3r Mountain Bike Helmet? The “MIPS” in the name stands for Multi-Directional Impact Protection System. This means that the helmet is designed to withstand many different types of forces. The MIPS protector sits inside of the shell of the helmet. It’s a thin, inner basket that rotates as needed upon impact. 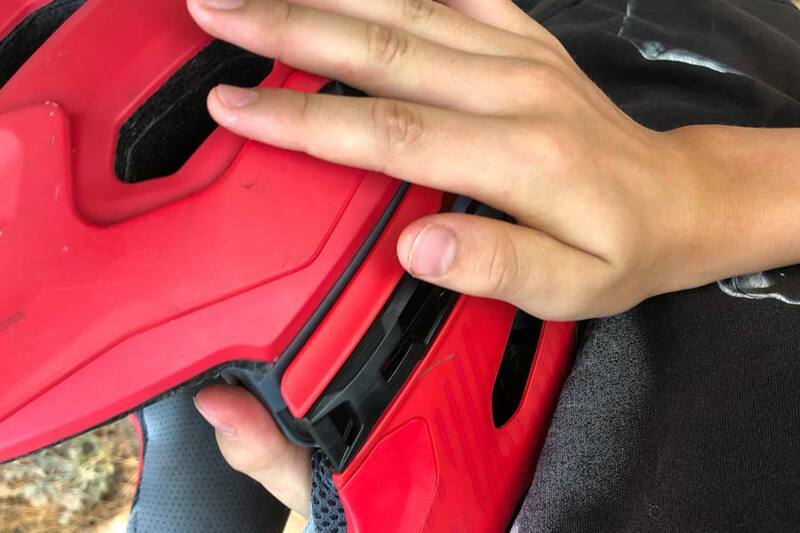 Since the helmet also has an outer shell to protect against blows to the head, the addition of the MIPS provides a second layer of protection. There’s a layer of X-Static padding in there as well, making the helmet comfortable to wear. 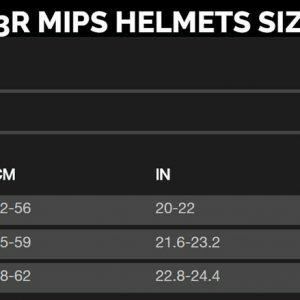 Although the Bell Super 3r MIPS helmet is designed for adults, it comes in three sizes: small, medium, and large. Here is a size chart. It is suitable for our kid with a Charlie Brown shaped head as well as his teenage brother. Our 11 year old wears a medium. Your child has his or her choice of colors, including matte black and white, matte smoke and pear, matte black and Orion, matte black with gloss black and cherry accents, matte black with copper gloss and black accents, and even matte hibiscus. Here is the Bell Super 3r in all its glory. The camera mount is utilized and the chin bar is attached to a hydration pack. You can easily attach the entire Bell Super 3r with MIPS to your hydration pack when enjoying a long pedal uphill. 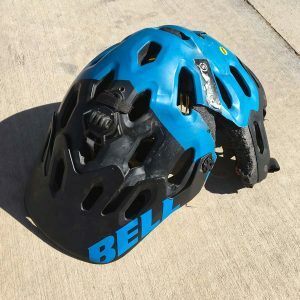 The Bell Super 3r with MIPS mountain bike helmet. Profile view with goggles raised. 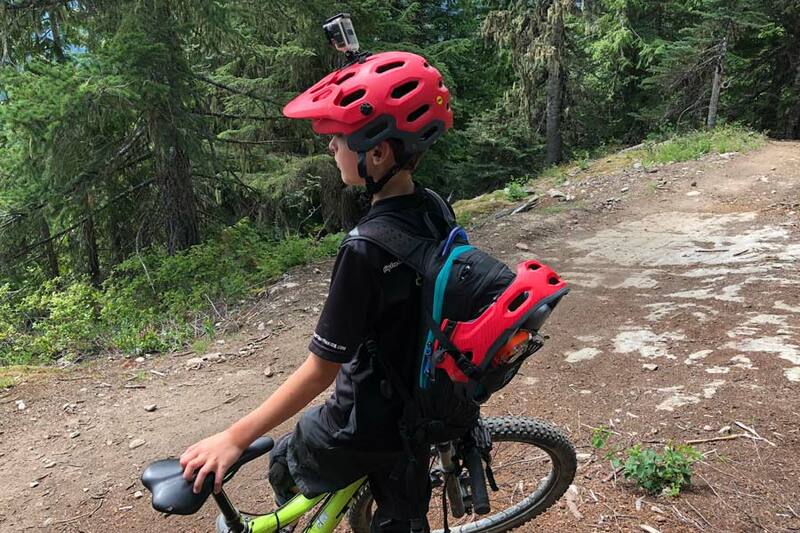 This action camera mount is compatible with the GoPro system and other brands. Chin bar attached, goggles lowered. The Bell Super 3r is great looking and functional. 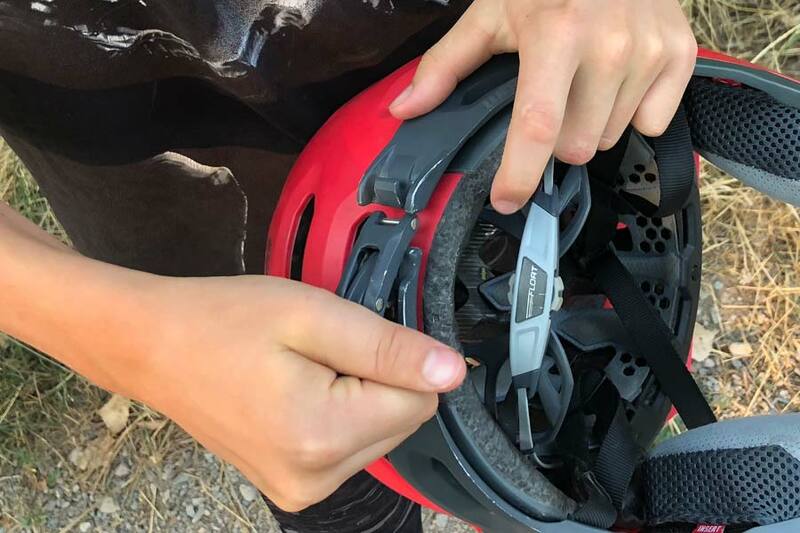 The helmet is also designed with an adjustable Goggleguide visor, as well as a camera mount that breaks away should a crash occur. The Bell Super 3r includes a lightweight exterior shell with cooling vents built with breakaway screws. Should a serious crash occur, medical professionals will be able to use them to remove the helmet quickly and easily. Our kid has liked this helmet quite a bit. Like its predecessor, the Bell Super 2r, it it suits many needs. 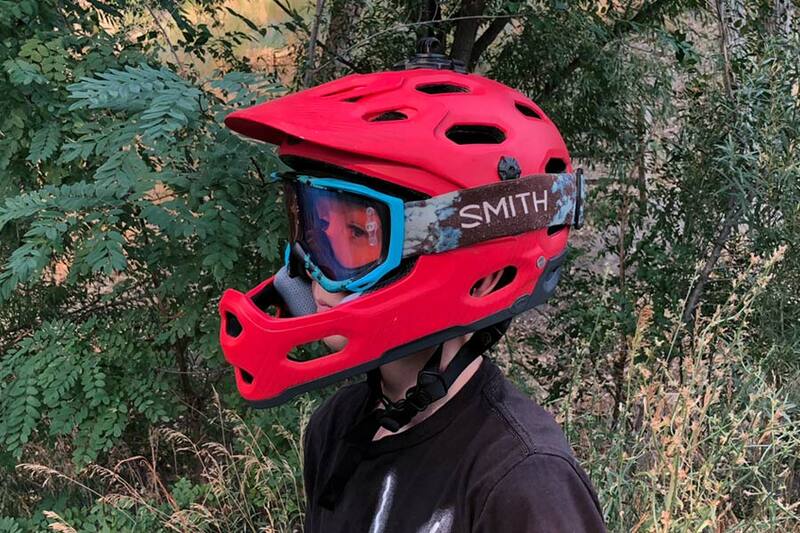 With the chin bar removed, it is a great basic trail helmet. 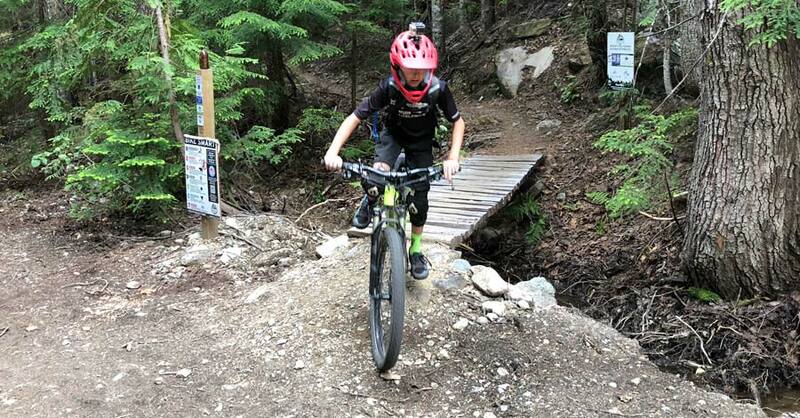 When the chin bar is attached, the helmet provides full face protection without having to lug around a full face helmet in addition to a trail helmet. 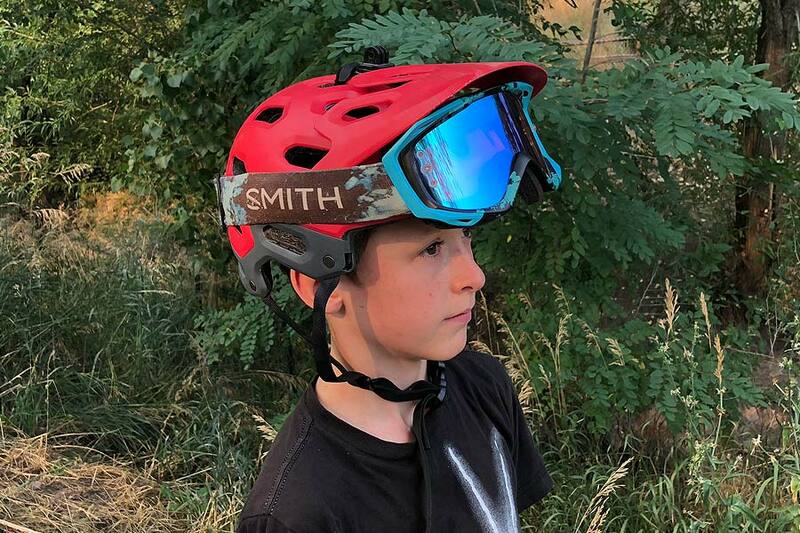 Our 11 year old has even competed in an enduro race where this helmet was the best choice. It is very well ventilated and light. Our hero of the story makes his exit from the Lord Of The Squirrels. 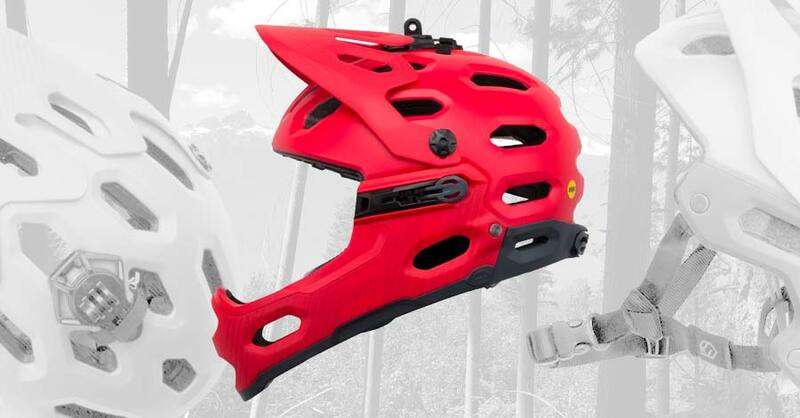 This helmet is a perfect choice for epic rides due to its ability to convert from a trail helmet to a full-face mountain biking helmet. In addition to all of the Bell Super 3-R’s safety elements, it contains a number of snappy features. The chin guard is removable, and easy to put back on when necessary. Your child can carry the piece along so that it’s nearby should the terrain get tougher. On top of that, the visor fits over many different types of goggles, cutting down on sun glare while on the trails. 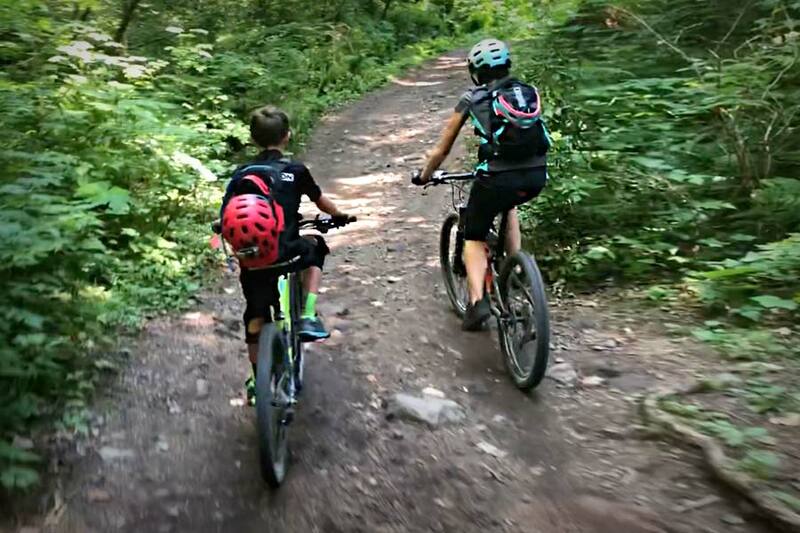 The Bell Super 3-R MIPS helmet is designed for adults, but suitable for kids who are big enough to fit into it. 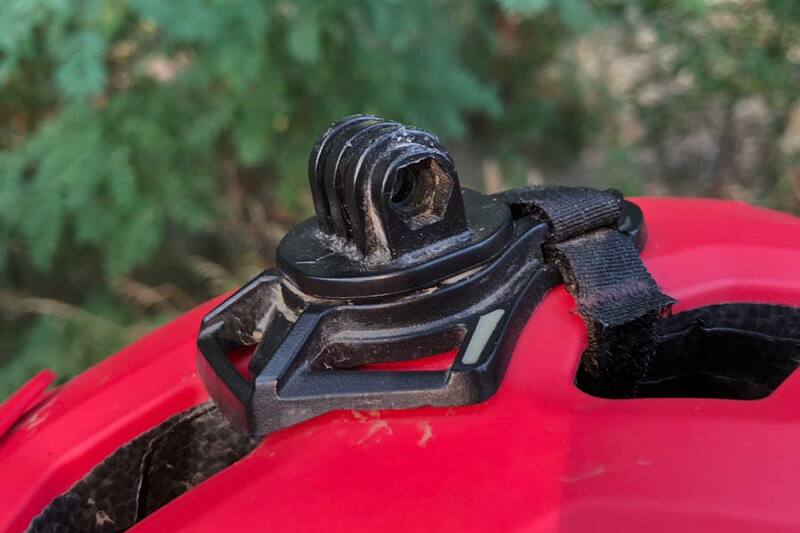 Thanks to the amazing array of vents (23 in the helmet, 4 in the brow, and 6 in the chin bar) your rider will remain as cool as possible, despite the temperatures on the road or trail. 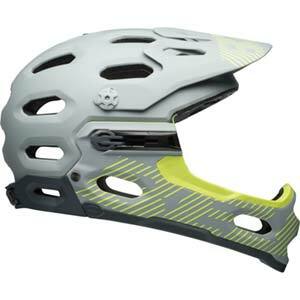 However, the safety features are what make this helmet one of the best. It’s truly designed to protect against falls of all kinds.